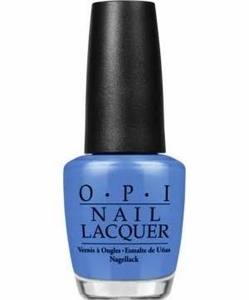 OPI Nail Polish, Rich Girls & Po-Boys, NLN61, .50 fl. oz. Vibrant medium blue creme nail color. OPI New Orleans Collection, Spring 2016.